Pink is definitely one of my favorite colors; when people see my room at home they often say it is one of the girliest rooms they've ever seen. What can I say? This girl loves her pink! But what I don't love is having to filter it out of my wardrobe once the fall and winter seasons hit. 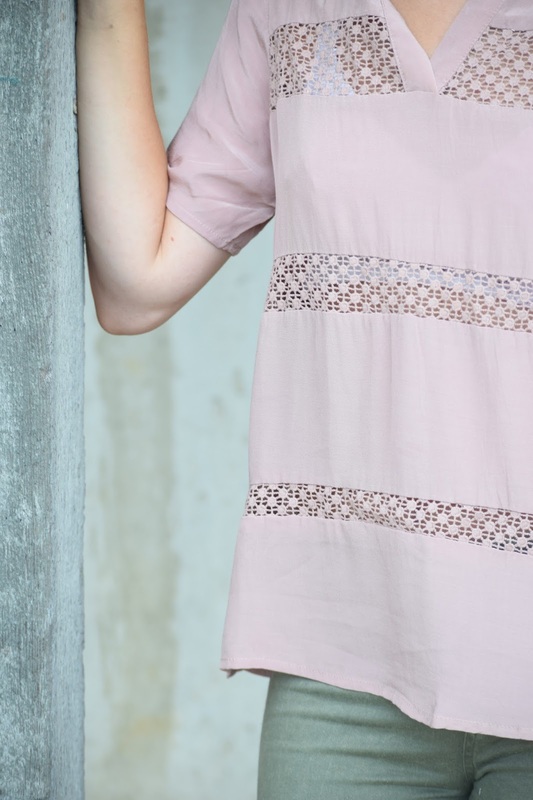 Although this year, with blush colored pieces becoming more and more popular, I have found several ways to keep wearing the lovely color year round! For today's look I opted to pair this lightweight blush blouse with a pair of olive pants and sandals for a breezy, transitional look. Although, once it cools down, I think this top would also looking darling paired with burgundy corduroy pants, a quilted jacket and booties! 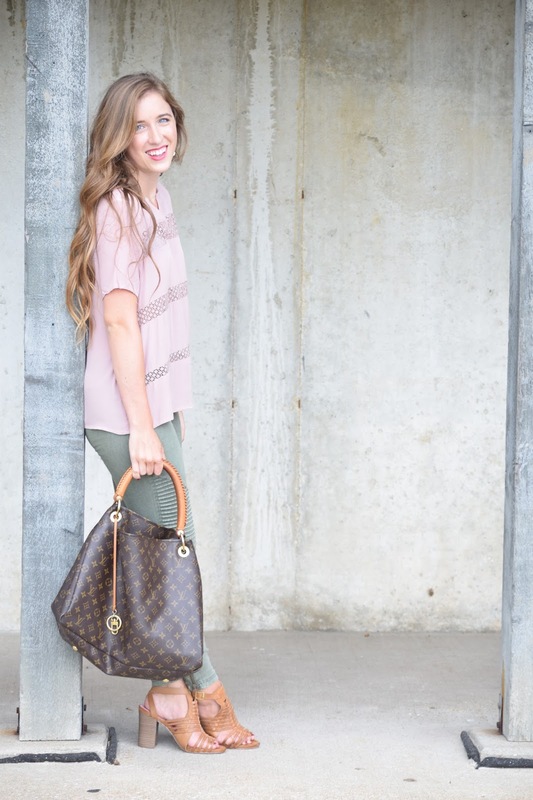 What are some of y'all's favorite ways to style pinks in the cooler months? I really like the combination of blush and olive. It's a very romantic look. Nice outfit! Looks really nice with the louis vuitton bag!